This month, Scott Hansen from Blue Nickel Studios is presenting ‘Tossed Salad’, a fun and happy block just like the creator. I have had the pleasure to meet Mr Hansen at market one year and was immediately captivated by his kindness and fabulous sense of humour. 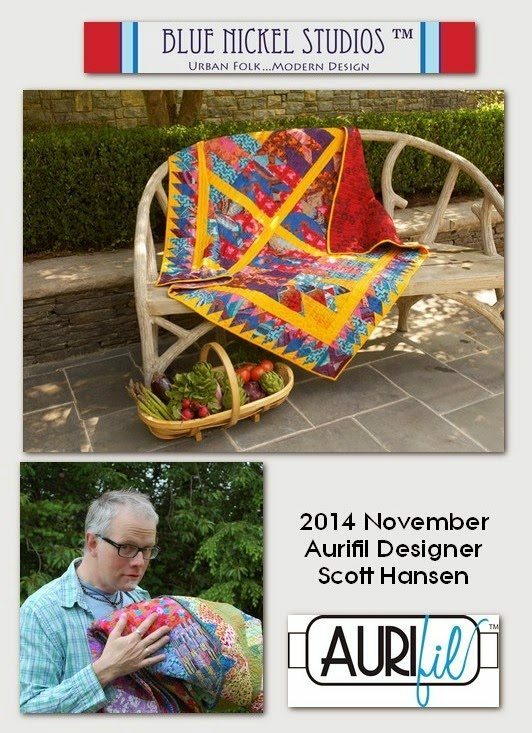 Read here about Scott and his amazing quilts and learn the story behind the block. Only one more month to go ( Carrie is next ). 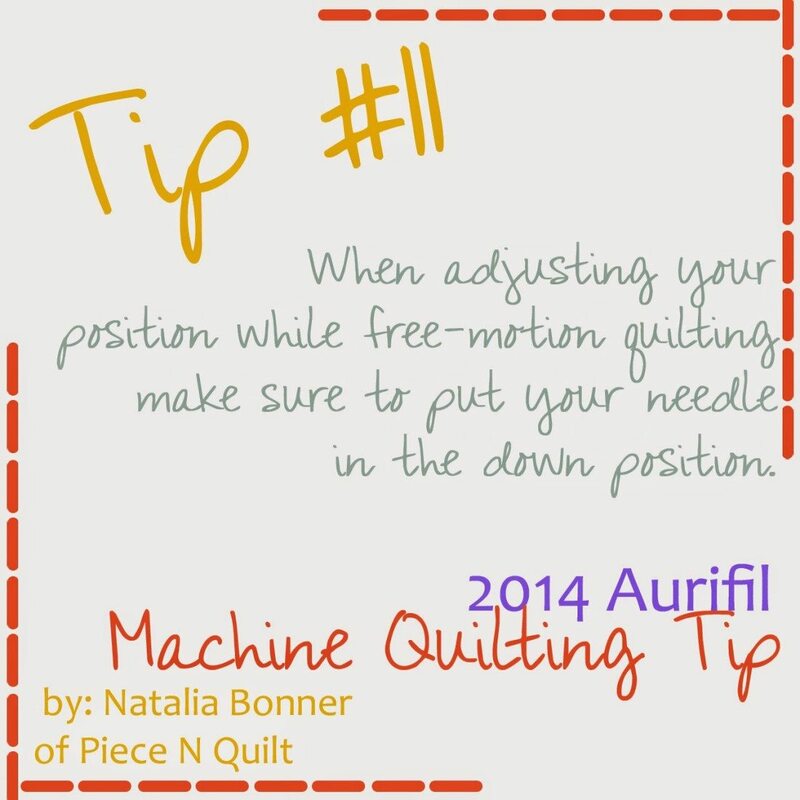 If you have not caught up, visit the AuriBuzz blog for the block patterns or the individual designers and their blogs. 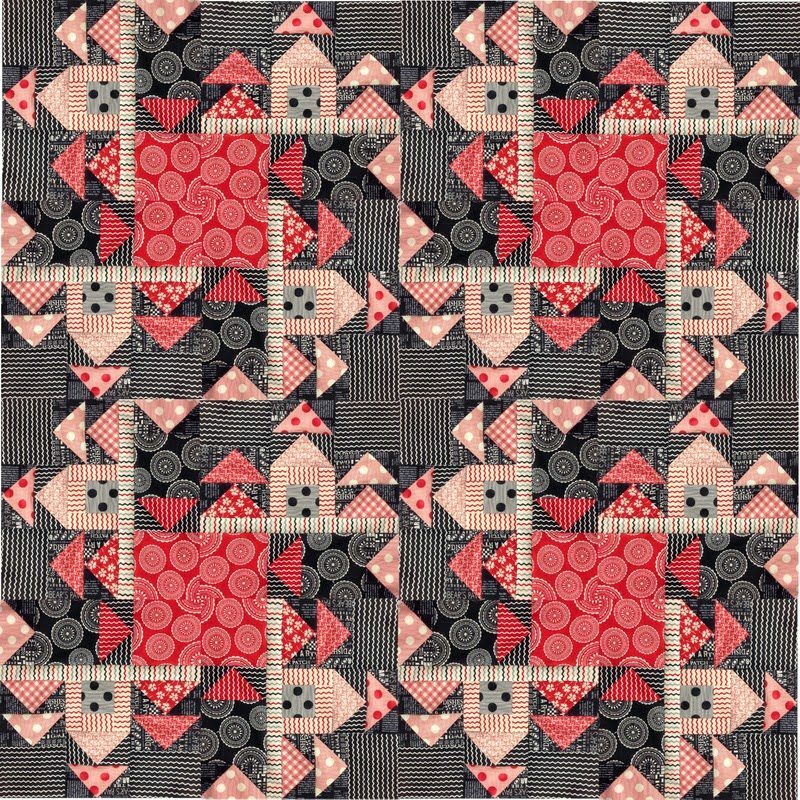 Stay tuned as host Pat Sloan http://blog.patsloan.com​ will be creating a layout for this quilt. 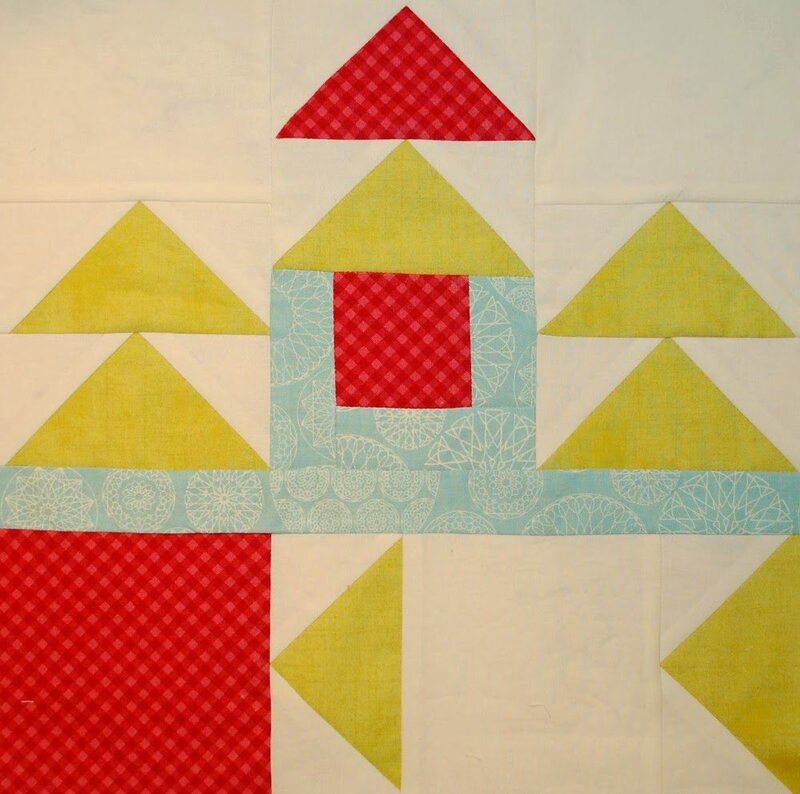 This is my version of the block using Moda Sweetwater Mama Said Sew fabrics. I can hardly wait to get this sampler finished and quilted. Scott included in his post a layout design using the block. This is what mine would look like. I love you take on the blocks each month, Jane! Especially this one using Scott's layout. Cool! This block looks so fabulous. I really wish I'd known about the BOM club earlier – this is totally something I'm going to be doing next year (I really hope they're doing it next year!). 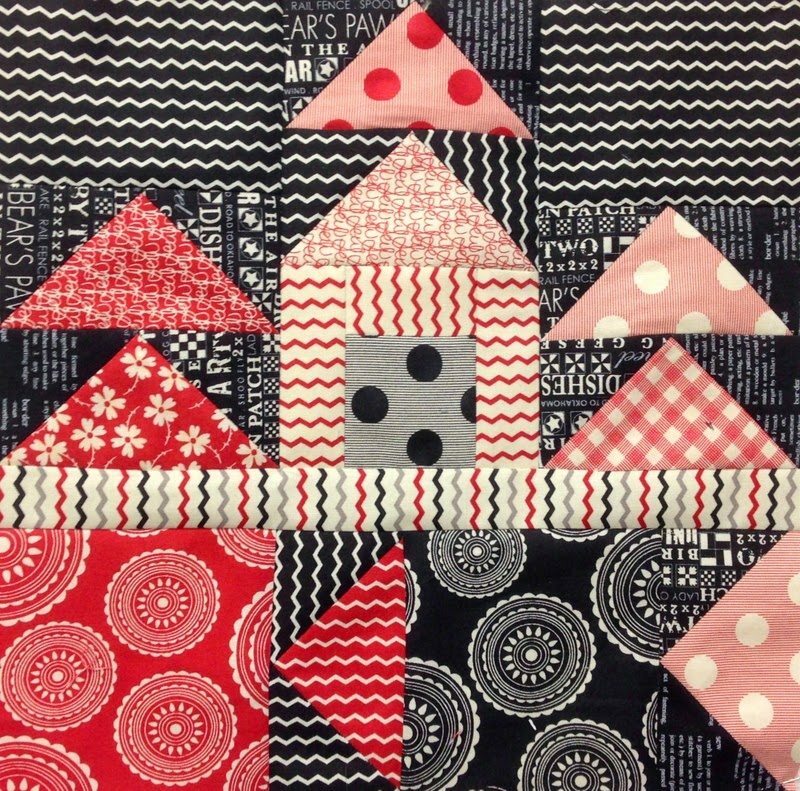 What a great quilt layout using this block of the month. I love the colors, too.